The sleep apnea pillar procedure (palatal implants) is a new surgical procedure for snoring and mild to moderate sleep apnea, approved by Food and Drug Administration (FDA) in 2004. This surgery can be performed quickly in the office under local anesthesia with minimal morbidity. How Is the Pillar Procedure Performed? 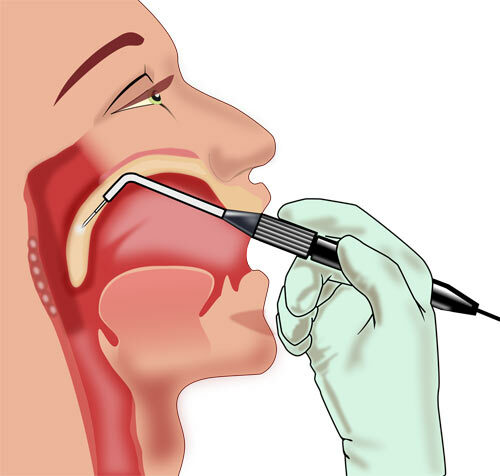 The surgeon use up to three matchstick-sized stiffening rods made of polyester material which are implanted in the soft palate. These rods have the purpose to help prevent collapse of the soft palate, limiting obstruction of the back of the throat when a person falls asleep. The sleep apnea pillar procedure, which is done under local anesthesia in an office, is reversible. So, if it causes pain or does not work, the rods can be removed. Sometimes the rods come out on their own, but this does not seem to cause significant discomfort. However, there are cases where the pillar procedure can cause problems, although they are very rare. A friend of mine had palatal implants surgery in 2007, and paid 1500$ at that time. The next day after the procedure, his throat was on fire. The doctor expressed his surprise at his discomfort and wrote a prescription for pain medication. After that, he had several nights with almost no snoring, then very quiet snoring, then much worse snoring than ever before. He had an almost constant sore throat, canker sores, and generalized pain in his right ear and all those accompanying little pain receptors in the immediate area. In the next year he had an infection developed in the far right implant. The doctor said he'd never heard of this happening, and that the implant had not dissolved as it should have, but had deteriorated somehow. So, the doctor removed the implants. The relief was immediate for the patient, and the canker sores disappeared. Only his snoring remained unbearable. After a sleep study, he began using CPAP. He now have more energy than he ever had. Bottom line... The lesson from this experience is that when you're trying to treat sleep apnea, there's not always an easy answer. The most important thing to remember about sleep apnea pillar procedure is that the surgery is only designed to address the palatal component of obstruction, so the rate of success is related to the overall contribution of the palate. This procedure has success if the reduction of apnea hypopnea index (AHI) is by 50%. Therefore, if your AHI is 20, you will get a reduction to 10% (at best)...but you still need a CPAP in this case, or a snoring belt. In conclusion... The benefits of pillar procedure is that it's a simple, reversible out-patient surgery that is relatively painless. The cons are that it may not help you depending on the cause of your obstruction and/or the level of severity of your obstructive sleep apnea, and sometimes the implants are not placed properly and protrude out or push their way out.